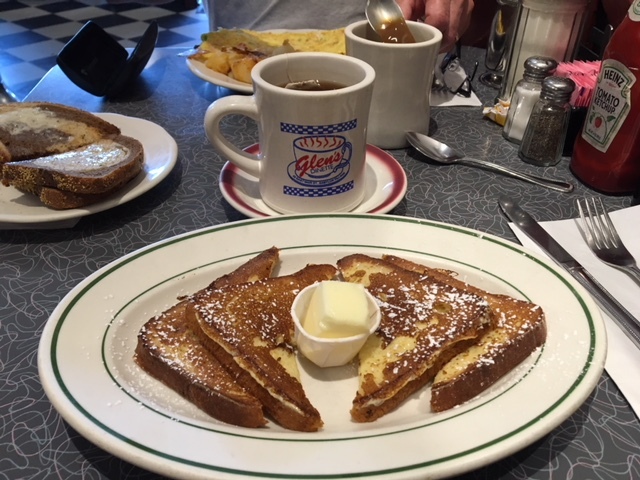 Glen’s Dinette has been in the same spot on Main Street for more than seventy years. 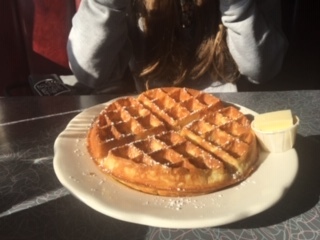 Serving breakfast and lunch seven days a week, it’s the closest you’ll get to home cooking outside your own home. Step in the doors and you’re home. Like any other small town, everyone knows everyone else. Couples, families and lone diners enjoy the upbeat, friendly service and decor that takes you back to those ‘good old days’. Depending on the day and time, you might have to give your name to the hostess and wait for a table to open up. The main dining room has at best ten tables. 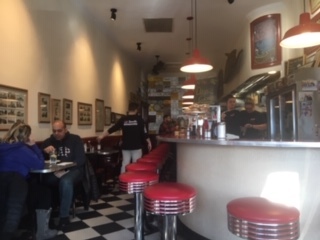 If you don’t care about getting a table, the lunch counter, the very original one, seats about a dozen people. Across from the counter, there are a handful of tables for two that are just as popular as the tables in the roomier dining room. 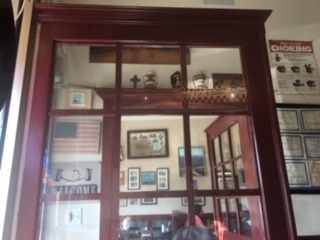 No matter where you sit, you can count on a friendly smile, fast service and delicious food, whether breakfast or lunch. And the prices at Glen’s are reminiscent of the good old days too. It’s the ideal place for families to get a delicious meal without emptying out their wallets. I’ve eaten here dozens of times, the first time enjoying a breakfast after a Sunday service at the church next door. My favorite breakfast? The french toast with a light dusting of confectioners sugar. My favorite lunch? There are so many, but I love the grilled cheese sandwich. It reminds me of the days as a child when my mom would make it for me. No matter how good I can make it at home, it’s never as good as hers. The decor makes you feel like time has stopped when you walk in. Remember those good old days when we didn’t have to be connected to everyone and everything at all hours? 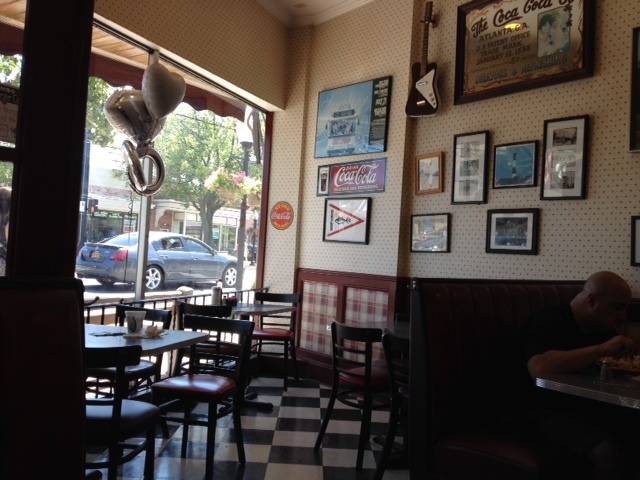 When you take your seat, put away your phone and enjoy the scenic pictures of Long Island that hang on every wall. If you’re seated near or at the lunch counter, enjoy scanning the wall of license plates. Not only are the fifty states there, but a few specialty plates as well. There’s an old fashioned framed ad for Coca-Cola that’s surely as old as I am. Most people might prefer the newest Asian Fusion restaurant or the hot new seafood place, but I’ll stick to my warm and friendly dinette tucked right smack in the middle of Main Street, where life is just plain good. 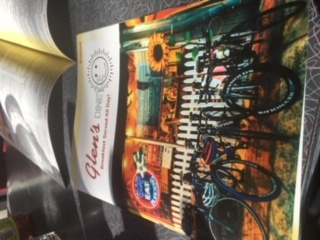 Enjoy a few pictures from Glen’s Dinette, and I hope you’ll join me here next week for another Small Town Saturday visit!